Our company does Microwave repair in Bend, Oregon, and surrounding areas. Our services are reliable, professional and fast. We repair all brands and models of microwaves including European and professional. For example, we often work on Asko, Bertazonni, Bosch, Dacor, DCS, Electrolux, Fisher&Paykel, Frigidaire, GE, Jenn-Air, KitchenAid, La Cornue, LG, Liebherr, Marvel, Miele, Perlick, Samsung, Siemens, Sub-Zero, Thermador, Traulsen, True, Viking, Whirlpool, Wolf and many more. What makes us stand out from other appliance repair companies is the fact that all of our appliance repair techs are factory trained and certified. They are familiar with every aspect of microwave repair. We guarantee you great results! If your microwave isn’t heating, a turntable is stuck, or you see sparks inside your microwave, we can help. Our technicians will thoroughly examine your microwave and suggest the easiest solution. They will find the genuine, high-quality parts and will make sure to install them right. Our techs work fast and with confidence because they have a lot of experience. They are up to date with the latest technology in appliance repair, and they have all the necessary tools and equipment. After an appointment with us, your microwave will be as good as new. Apart from having a talented technical team our company Oregon Appliance Repair also offer you the best customer service. Our technicians are punctual, detail oriented and friendly. 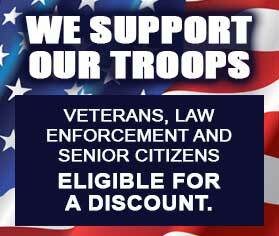 They will treat the customers with respect and will go out of their way to help them. All of our clients get FREE service and repair and FREE, accurate estimate. Our estimates are always very competitive and fair. We do the job right the first time because we know our work well. You can be sure to get the best service at an excellent price. 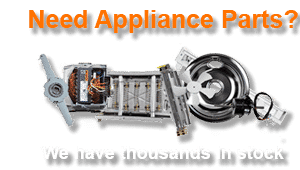 Oregon Appliance Repair civilizes in microwave repair, but we also repair all of your the other main home appliances. We have been in business for more than 30 years and had a lot of experience. Our company is family owned, and family managed. We serve the whole of Bend, Oregon including Redmond, Simnasho, Sisters, Terrebonne, Three Rivers, Tumalo, Wapinitia and Warm Springs. Our team can do a project of any size and any degree of difficulty. We do commercial appliance repair as well as residential. If you have commercial grade appliances, you will need our professional help to maintain and repair them. Our technicians are true professionals. They can fix any appliance in your kitchen, laundry or outdoor kitchen. They are equally good in refrigerator repair, washer repair, dryer repair, stove and range repair, oven repair, steam oven repair, freezer repair, ice maker repair, barbecue repair, pizza oven repair, patio heater repair and much more. We can solve any of those issues quickly. Sometimes all it takes is some tinkering or reprogramming. But once in a while, we will need to order parts for you. That is not a problem because we can always order genuine, high-quality microwave parts from the manufacturer. We usually do it pretty fast. Just a few days and our technician will be able to come back and professionally install your parts. This is where our skills and knowledge comes in. We make sure to be detail oriented and do the job right the first time. After the job is complete technician will reassemble your microwave, plug it in and test it. He will make sure that it’s working great and safe to use. Then our tech will clean up after himself. He will dispose of all the old parts etc. He will turn into you a microwave that works as good as new and will serve you for a long time without breaking. We offer affordable and convenient maintenance service for all of your kitchen appliances as well as washer and dryer. Our skilled technician will check all of your appliances on the annual or biannual basis. He will make sure to catch any problems you might have before they become big and expensive. When a problem is detected early, it can be an easy fix. Also, he will replace the filters and other parts that need to be replaced from time to time. It’s less work for you, and it increases your chance of having problem free appliances for a long time to come. This maintenance service saves you time and money in a long run. We have more than 30 years of experience in microwave repair as well as another appliance repair. Our technicians are all factory trained and certified. They know exactly what they are doing every step of the way. With their help, your home appliances will be in good shape for a long time to come. With Oregon Appliance Repair you get excellent service from highly skilled specialists at a very reasonable price. Also, the whole experience is fast and convenient. We guarantee that your microwave will work great after an appointment with us. For microwave repair, please call us at 541-948-8835 or fill out our short contact form. We will be happy to set up a convenient appointment for you. Our friendly and highly skilled licensed technicians will soon be on their way to repair your appliances. We do microwave repair Bend, Eugene, Portland, Central Oregon, Crook County, Deschutes County, and Jefferson County. 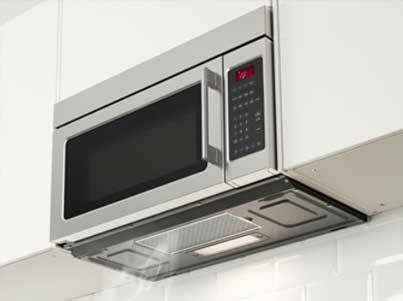 Our company does Microwave repair in Bend, Oregon, and surrounding areas. Our services are reliable, professional and fast.